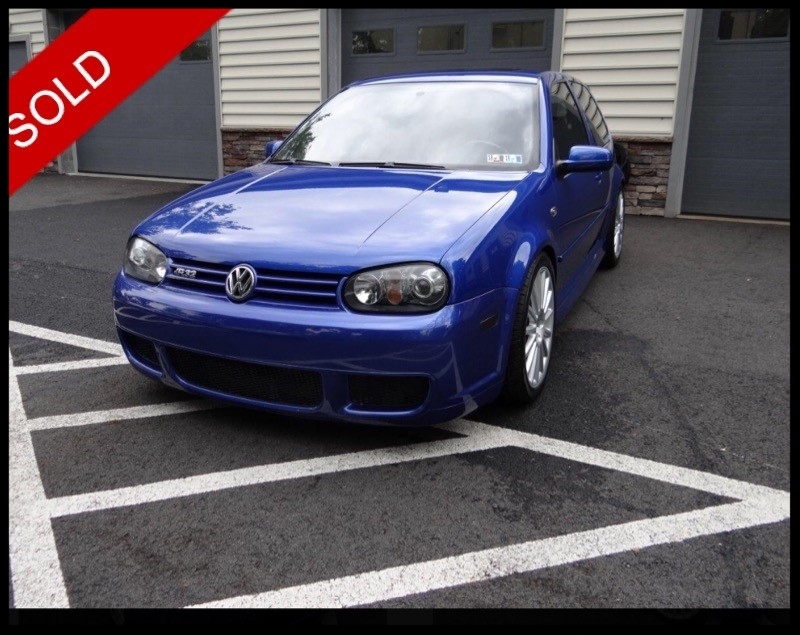 Beautiful, low mileage Deep Blue Pearl R32. This R32 is very clean inside and out and features some high quality modifications. The car is fitted with Bilstein PSS9 coilovers, Gruvenparts adjustable upper and lower rear control arms, Diesel Geek skidplate and short shifter, slotted Stoptech rotors all around with Hawk pads, GIAC X+ chip 93OCT, EIP coldair intake, EIP dogbone mount, Neuspeed 25mm rear swaybar, H&R wheel spacers, and a Yarrowsport rear strut bar. The car is also fitted with VXtuning HID headlights and the stock headlights also come with the car. This R32 had the Haldex system serviced at 45k miles along with new inner and outer tie rods, ball joints, both cooling fans and sensors, intake filter and cabin filter. The car also had the brake fluid flushed with Amsoil fluid when the rotors and pads were replaced. The car shows very well with only minor chips on the front bumper. All the paint is original except for the front bumper which has been repainted due to chipping. The interior is very clean with no rips or major marks on the seats or dash. These low mileage R32s are hard to come by and this is a great example of one. Clean Carfax and three keys included. Call or Email for more information.